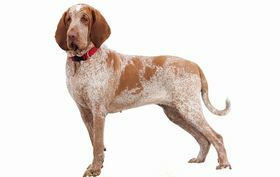 The Spinone Italiano is considered to be a healthy breed, one which does not have as many congenital and inherited conditions as other breeds. If you want to know that you have a healthy puppy, you should work with a reputable breeder who is able to provide you with the paperwork, tests, screenings, and guarantees needed to ensure the health of your pup and the parents of the pup. Poor breeding practices can lead to congenital and inherited diseases that are passed down to the puppies. Some of the medical conditions and ailments you need to know about include bloat, allergies, cataracts, cancer, dermatitis, hypothyroidism, seizures, and joint dysplasia. Bloat is a life-threatening condition that can lead to your pet’s untimely death when not treated promptly. If you think that your pup has bloat, it is imperative that you head straight to the vet’s office. Bloat occurs when too much air becomes trapped within your pup’s stomach, and the stomach starts to expand. Due to the expansion, pressure is placed on other organs, which causes them to function incorrectly. Allergies are another thing that you need to worry about in your Spinone Italiano. The allergies can range from a simple skin irritant to an allergy related to the corn in your pup’s food. If you think your puppy has any allergies, talk to your vet and have your pup screened. Cataracts may be present in your pup’s eyes, and they can ultimately lead to blindness if they are not corrected. Sometimes, they cannot be fixed but other times, surgery may be able to be performed. Typically, cataracts will appear in both eyes and develop over time, but a puppy can be born with them or they can occur due to trauma. Cancer is a concern in many breeds and it is important that you work closely with your veterinarian to ensure your pup is screened for cancerous cells often. Cancer can develop anywhere in your pup’s body, so quick treatment is important. Dermatitis is a chronic and inflammatory skin disease that is associated with allergies in your pup. This is one of the most commonly diagnosed allergic skin reactions in dogs of any breed. When your pup has a dermatitis reaction, it is not normally harmful, but it can cause itchy or irritation. Hypothyroidism is a condition that occurs when your pup’s thyroid is not working properly. Thyroid issues can lead to metabolism problems in your pup, which means he or she may gain too much weight or may not be able to gain any weight. 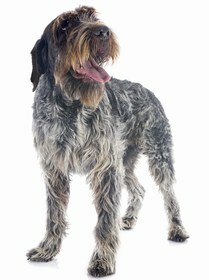 Seizures are a neurological condition that may be passed down to your Spinone Italiano. Typically, seizures do not first appear until between six months and two years of age. Puppies can have seizures as well, but it is not as common. When your pup has a seizure, it can be either violent or mild. Violent seizures may come with a loss of consciousness as well. Joint dysplasia can affect the elbow or hip joints in your pup. This condition is painful for your dog and may lead to the development of arthritis. This condition does not normally appear until your pup is older. If your pup does have joint dysplasia, you may notice that he or she does not use the affected limbs as much and may have trouble getting up and down. The Spinone Italiano has a life expectancy of 12 to 14 years. The Spinone Italiano is considered to be a breed that is protective of his or her family. This dog makes a good watchdog and will bark to alert you of any intruders or strangers that approach the home. You will find that your pup forms a close bond with you and is affectionate. Typically, this breed will only form a close bond with the owner, but will continue to show affection and get along with others in the home. Your pup is going to be good with kids and other animals, but as always you need to make sure that you socialize him or her early on to avoid any timid or shy behavior. This breed is quite energetic and needs to be able to exercise out in a yard every day. With that said, this pup is not a good choice for an apartment and does need a home that has a fenced in area. You will find that this breed adapts quite well to most situations, and you may be able to keep him or her in a larger apartment if you can provide an adequate amount of stimulation. The Spinone Italiano may be energetic and playful outdoors, but you will find that he or she is calm inside of your home and remains docile. This breed is easy to train and does not require any special methods of training. You need to make sure that you remain consistent in your methods so that your pup will pick up on the commands and learn quickly. 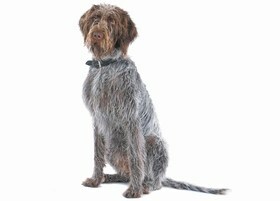 The Spinone Italiano is considered easy to groom and only needs to be brushed every couple of days. This breed does not shed much, so he or she is perfect for someone who does not want to pick up dog hair every day. Your pup only needs to be bathed once in a while when needed. If you do bathe your pup, make sure to choose a mild shampoo. In addition, you will need to clean your pup’s ears once per week and trim his or her nails monthly to prevent overgrowth. 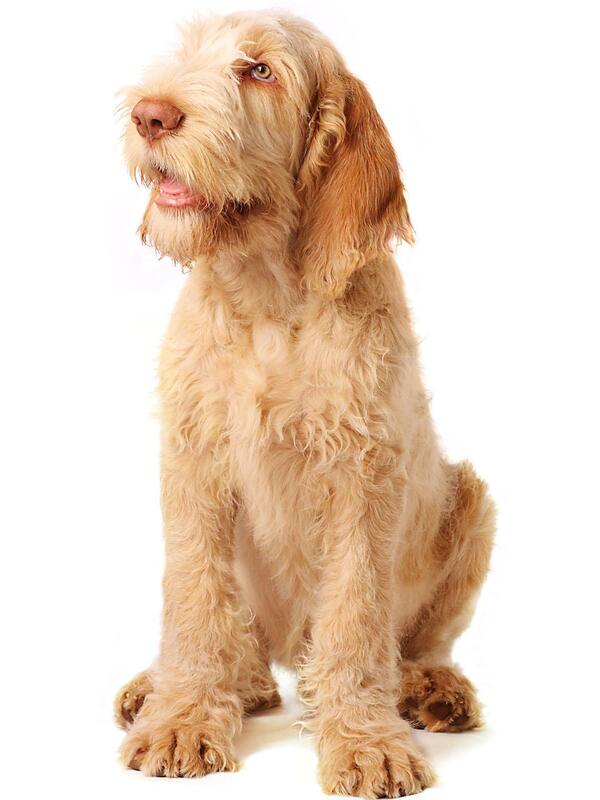 The Spinone Italiano will consume about 3 cups to 4 cups of dry food per day. You should choose a high-quality kibble that is made with wholesome ingredients and not chemicals or fillers. It is important that you meet your pup’s nutritional needs to ensure he or she thrives and grows properly. Looking for a Spinone Italiano? A Spinone Italiano puppy will cost you approximately $1,800. It is unlikely that you will find this breed in a shelter and the cost of your pup is determined by the demand for the breed and the breeder you choose to work with. Ranking takes into account a few basic factors including cost, skill level needed, high vs low maintenance and how critical regular training is to success. The Spinone Italiano is great with kids and other pets in the home and is known to form a strong bond with his or her owner. 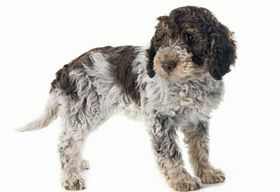 You will find that this breed is easy to train and does not require a lot of grooming. The Spinone Italiano should have a yard to run around in and since he likes to play outside, an active family is generally best. This pup will provide you with a lot of love and laughs throughout his or her life. This breed ranks a 2.